You've just made the decision for your child to have eye muscle surgery. You may be apprehensive about the procedure, being that your child is very young. Your child may also be nervous about the impending surgery. However, eye muscle surgery is one of the safest eye surgeries. The following information will give you an idea of what to expect, and hopefully, put your mind at ease. Why does my child need eye muscle surgery? Eye muscle surgery is most commonly used to treat strabismus. Strabismus is an eye disorder where one or both of the eyes are misaligned, and the eyes do not move together properly. One eye may be up, down, in or out. Some people may experience double vision with strabismus. Parents and children also become concerned about the cosmetic appearance of their eyes. Having strabismus also puts a child at risk for developing amblyopia. Amblyopia is a condition where the neurological visual pathways do not develop properly, leaving a child with reduced vision. Your doctor may have recommended surgery as the best treatment option. Your child's doctor will recommend that your child stop taking aspirin (usually not recommended for children anyway) and ibuprofen-type products one week before surgery to minimize bleeding. 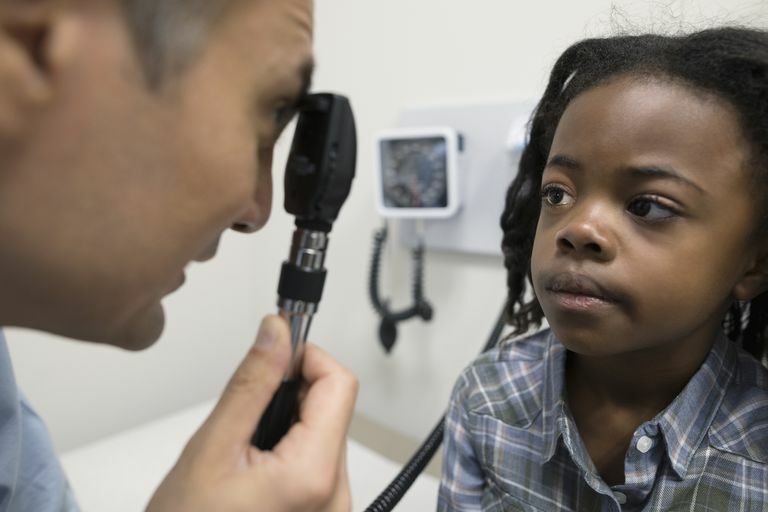 If not completed already, your doctor will recommend that your child pass a physical performed by your pediatrician. An anesthesiologist may also wish to perform a brief physical before the surgery. If your child has a significant cough or cold a few days before surgery, you will probably be advised to reschedule the surgery. Most pediatric eye surgeons will allow your child to bring a special toy to keep with him until he is taken into the surgery room. Depending on the surgeon and anesthesiologist, you may be allowed to accompany your child until he falls asleep. Young children are usually sedated with a breathing gas from a mask loosely fit onto a child's face. An intravenous line (IV) and breathing tube are required and are inserted after the child is asleep and removed before the child is fully awake. Eye muscle surgery is performed with the eyelids open. Despite common misconceptions, the eyeball is not removed or taken out of the eye socket. It is simply rotated, just as it is as you look from right to left. Small incisions are made through a clear tissue that lies on top of the white part of the eye to minimize scarring. The entire surgical procedure usually lasts between 30-60 minutes. Your child will be monitored closely after surgery. Some children experience mild nausea while general anesthesia is wearing off. Your child may complain of mild pain after eye muscle surgery. Her eyes may feel slightly "scratchy." Tylenol is usually all that is needed to control the pain. If pain is more severe, an injection or a pill may be administered. In certain cases of strabismus, surgeons use an adjustable suture. An adjustable suture can be changed to make slight adjustments in order to fine-tune the eye muscle correction. Some surgeons do the adjustment two to four hours after surgery, while others prefer to do it the next day. Your child may be instructed to wear a patch to protect her eye. Eye patches are usually only worn during the first night. If your child's eyelids appear swollen, ice packs or frozen peas may be applied every 30 minutes for the first day. Young children usually bounce back quickly after eye surgery. Most children will feel like themselves the very next day. Your doctor will probably schedule a follow-up visit one day after surgery, and again between six to eight weeks after surgery. Don't allow your child to swim for at least five to seven days following surgery. Bath water should also be avoided. It is also best to wait a couple of weeks before wearing contact lenses. All other activities may be resumed as soon as your child feels like it. Your child's eyes will appear slightly red or pink for one or two weeks. Antibiotic-steroid eye drops may be given to prevent infection and help the eyes heal. These are usually taken for seven days following surgery. You may notice a very small white bump on the white part of your child's eye. This is a suture knot and will eventually dissolve. After your post-operative visits, you will still need to see your optometrist or ophthalmologist for annual eye examinations to ensure that the eye muscle problem is not worsening. Caloroso, Elizabeth E and Michael W Rouse. Clinical Management of Strabismus. Butterworth-Heinemann, pp 148-155, 1993. Are Crossed Eyes Normal in Newborns? What Can Be Causing You to Have Double Vision? How Does Albinism Affect Your Eyes?